Elite Residential is designed for both the novice and seasoned home inspector. Includes a detailed collection of comments for most conditions you could encounter. 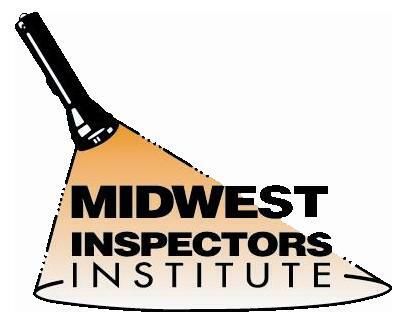 Written by Tom Lauhon of Midwest Inspectors Institute, 3D Focus Elite Residential is designed for both the novice and seasoned home inspector. 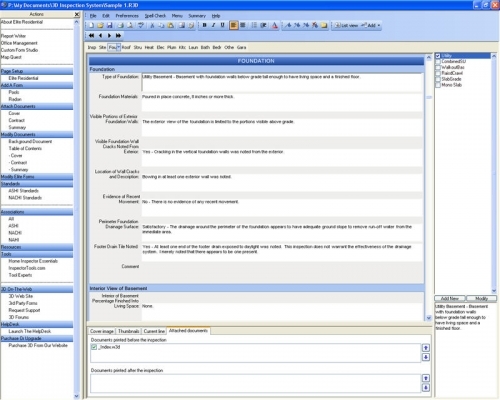 This solution includes a detailed collection of comments for most conditions you could encounter. Being fully customizable, you may add any of your own comments that you would like and you can rearrange the order of he forms to allow for your inspecting methodology. If you have basements of crawlspaces; heat pumps, furnaces or boilers; roofs or exterior siding, this formset is designed for your inspection needs. As educators, one of the most common things we hear is that home inspectors want a computer generated report, but they don’t want to have to set it up or build the forms themselves. In cooperation with 3D’s Focus Program, we have made this request a reality. With this 3D Focus driven product, you can provide your clients with a thorough and professional looking report with as little data entry as client name and address. With thousands of canned responses for hundreds of items you inspect, this quick point and click method of report writing helps to limit your liability and makes writing reports to industry standards a breeze. Working on a computer or a mobile device, Elite Residential is preset for inspecting any residence from a one bedroom beginner’s home to a 5 bedroom, 4 bathroom executive home, complete with swimming pools and spas. They say a photo is worth a thousand words…with this report writing system, you don’t have to add any, but you can add as many as four photos per line. With the detailed comments that are a part of Elite Residential and the ability to highlight your photos with circles and/or arrows, your clients will have no question as to what you are talking about. Elite Residential is set up to guide you through the home, reminding you of all the components and systems that need to be inspected. Customizing: This form set is completely customizable, allowing you to edit or add comments; or Duplicate headings, allowing you to add a room or system on the fly. You can modify all of the documents included, you can even change the order that things appear in the report to coincide with how you perform your inspections. Additional Forms: We have included a form for Radon screenings as well as the inspection of existing mitigation systems.